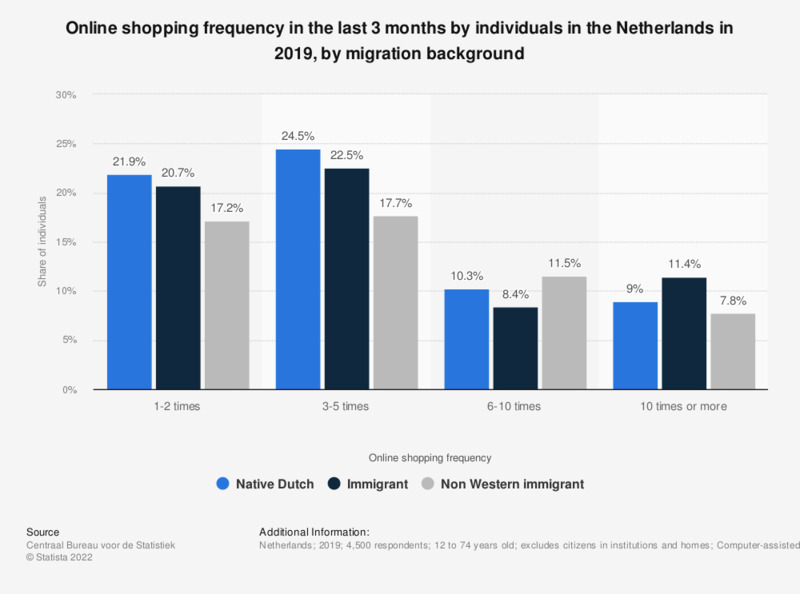 This statistic illustrates the online shopping frequency in the last three months by individuals in the Netherlands in 2018, by migration background. As of 2018, roughly 24 percent of immigrants in the Netherlands bought made an online purchase three to five times in the last three months. This question was phrased by the source as follows: "How often in the past 3 months have you purchased or ordered goods or services on the internet?" - Dutch native: "If both parents of the individual were born in the Netherlands." - Non-Western immigrant: "Individual who has at least one parent who is born abroad."